Disney characters often are noble, brave, and courageous, just like our favorite team of superheroes! 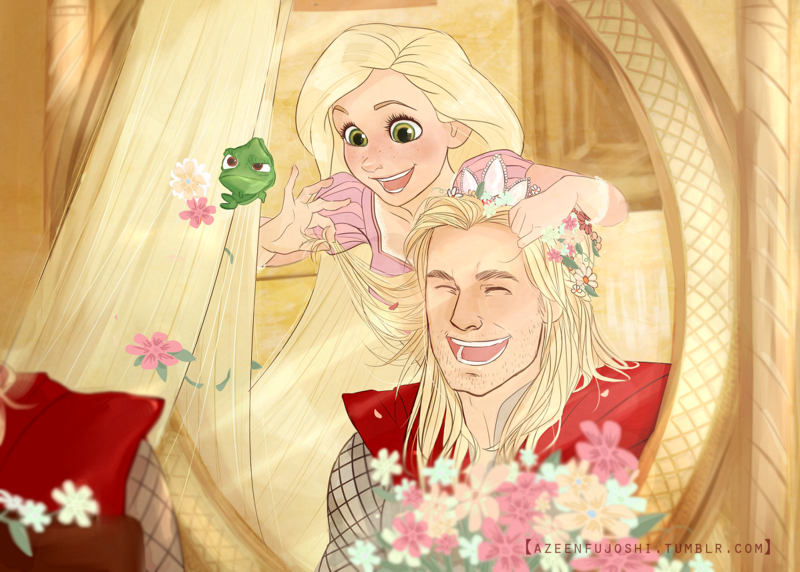 Besides the fact that 'Punzie and Thor would totally be friends (see picture above), there are a few Disney characters that are perfect doppelgangers of the Avengers crew. We hope you enjoy this humorous walk-through of the new (improved?) Avengers cast. 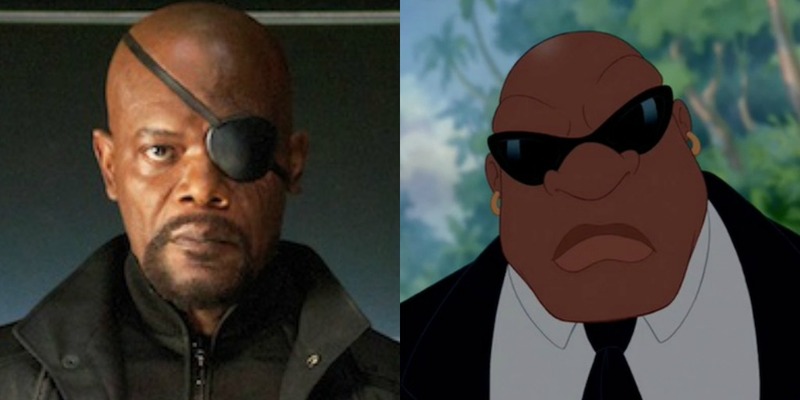 Covered eyes aside, ex-Director Nick Fury and ex-Special Agent Cobra Bubbles have a lot in common. Most importantly? As Cobra states in Lilo & Stitch, “I am the one they call when things go wrong.” By the time we see either of these guys, things have already gone tumbling downhill. Clearly, they also both feel that the ends justify the means, even if those ends aren't pretty: Cobra was willing to separate Lilo from her only family to give her a better life, and Nick Fury...well, see the whole Phil Coulson debacle. Beyond that, they've got mysterious pasts and boatloads of high-up connections. When things do go wrong, be glad they've got Earth’s back. Beyond the fact that they’re both built like gods (wonder why that could be?) 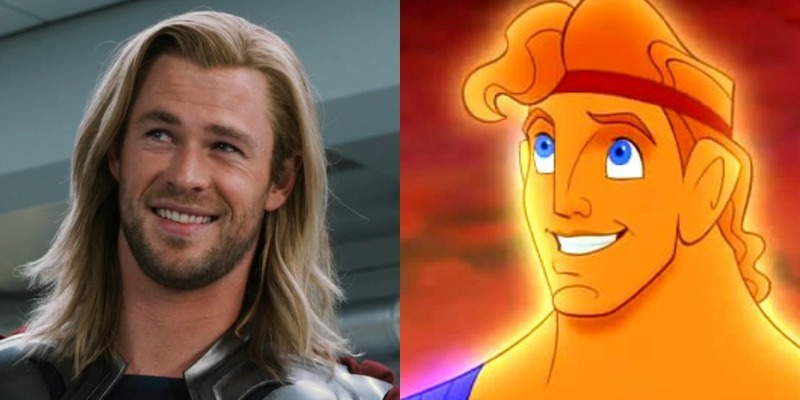 and have Daddy issues, both Thor and Herc have somehow retained a childlike naïveté despite everything they’ve seen. At the end of the day, they want to see the best in people. They also had to prove themselves to their powerful fathers in order to gain the right to return to their rightful homes—and they were cheated out of those homes in the first place by duplicitous (but hilarious) family members. Pride may be the fatal flaw for the pair of them, but ultimately, they both know when to put themselves aside and sacrifice for the greater good. Ah, Iron Man and Kuzco. Does this even need any explanation? Initially, both of these guys are rich, self-centered, and completely dependent on their advisors (Pepper and Yzma), even though they should be old enough to take care of themselves. They’re both shocked when someone close to them betrays them for power (Obadiah Stane and Yzma are totally twin peas in the same pod), but both manage to overcome that particular setback with the help of newly appreciated friends. One of the best things about Tony is that he becomes a better person but doesn’t mature too much, doesn’t lose his sense of humor—and it’s the same way with Kuzco. Also, they both seem to have a thing for gaudily enormous homes honoring themselves. But you can’t help but love them for it. If there’s anybody who understands what the Hulk is going through, it’s the Beast. Back before he turned into a green rage-monster, Hulk was Bruce Banner, a respected scientist with a lot going for him: a good job, a girl he loved, the works. Before he got all growly and fluffy, Beast was a prince who had it made: he had good looks, a palace, and servants who would do anything for him, despite his inherent brat factor. Then they both get turned into monsters—monsters whose respective chief flaws go against the men’s former best qualities. 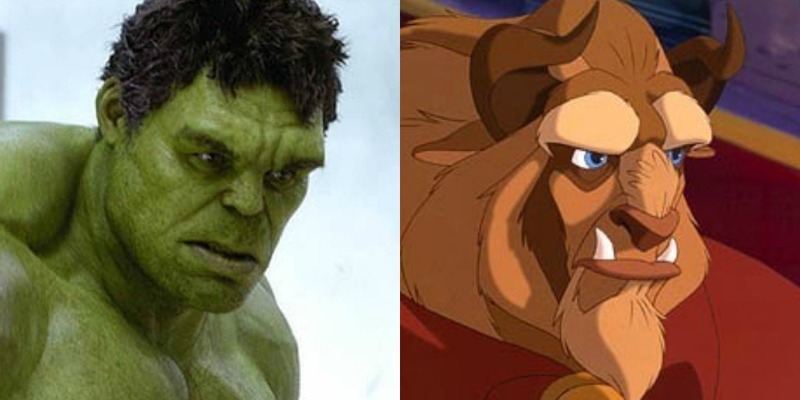 Genius Bruce Banner becomes incapable of much thought more complex than “Hulk smash”; the handsome prince becomes terrifyingly ugly. However, through becoming these monsters and losing themselves, both men come to understand themselves better. Both of these redheads are used to being women in a man’s world—and both of them are doing quite well for themselves, thank you very much. (They also both get attacked by a beast who used to be a man, but that’s beside the point.) Though it may initially seem like they’re at a disadvantage among the muscle-bound guys surrounding them, they both manage to work things to their advantage through a combination of physical skill and cleverness. 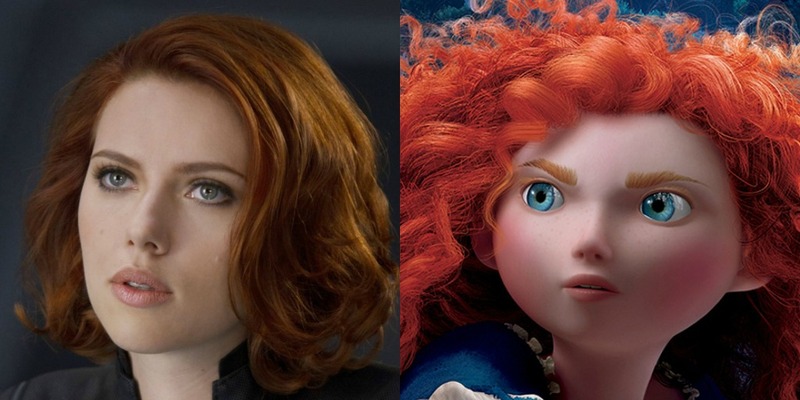 Natasha is deadly in combat, while Merida’s a regular little Hawkeye with her bow and arrows. Merida finds a loophole in the firstborn contest and wins her freedom. Natasha manages to con the conman Loki, which everyone can agree is impressive. But despite the fact that they’re both tough and independent, neither of these ladies get reduced to tough-female tropes. They’ve got depth and personality, and ultimately, they both learn that they can work as part of a team without sacrificing independence. Tragically, Hawkeye hasn’t gotten much characterization—let alone screen time—in the MCU so far. But if there’s one thing we’ve learned from him, it’s that he’s a regular guy looking to make sure the little people don’t get stepped on by those who are more powerful. Out of all the Avengers, Hawkeye is the one who can be seen helping people in the middle of intense battles—taking a minute to focus on the individuals instead of the bigger picture. Obviously, this is a cause Robin Hood can get behind. Both characters are easygoing but end up running into conflict with power-hungry princes whose older brother is away. And ultimately, Hawkeye and Robin Hood manage to keep a sense of humor even when things get nuts, which means they’re great in a crisis. 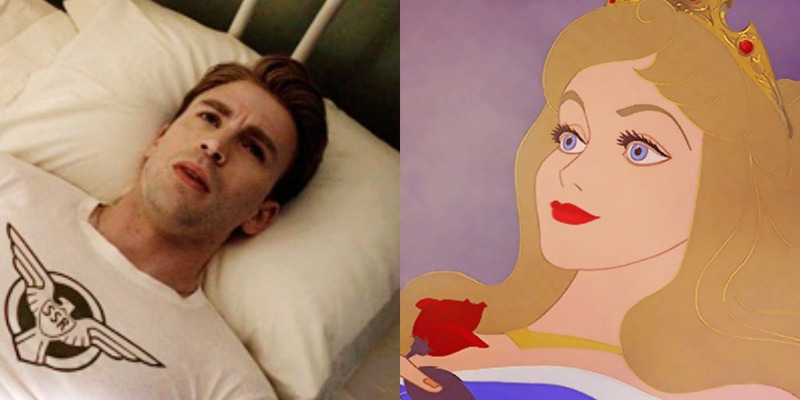 On the surface, Captain America may seem to have more in common with the eponymous sleeping beauty than with her prince. Blonde hair. Blue eyes. Going into an unnatural sleep in a freak accident and not waking back up till an adoring kind-of-stranger intervenes. 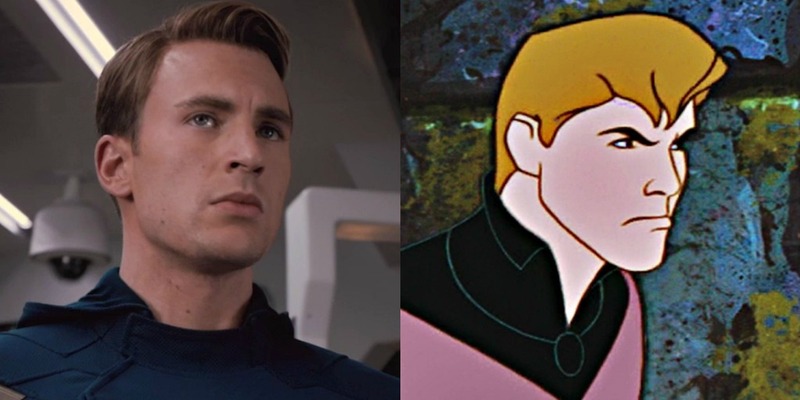 But once you get past that, Cap’s a (relatively) modern-day Prince Phillip. Phillip may know more about dancing than Steve, but both guys use courage, truth, and virtue to save the day. Funnily enough, both also use unique shields they received as a special gift, and both take on lizards with twisted ambitions—Steve tackles Hydra more than once, and Phillip has to defeat Maleficent in her dragon form. If it’s good old-fashioned values and a strong sense of morals you’re looking for in a hero, these guys have your back. Are you going to see Age of Ultron today? Who is your favorite character and what Disney character would you cast them with? Casting, images, and intro brought to you by Anna Catherine. Descriptions brought to you by Jenna Blake Morris. 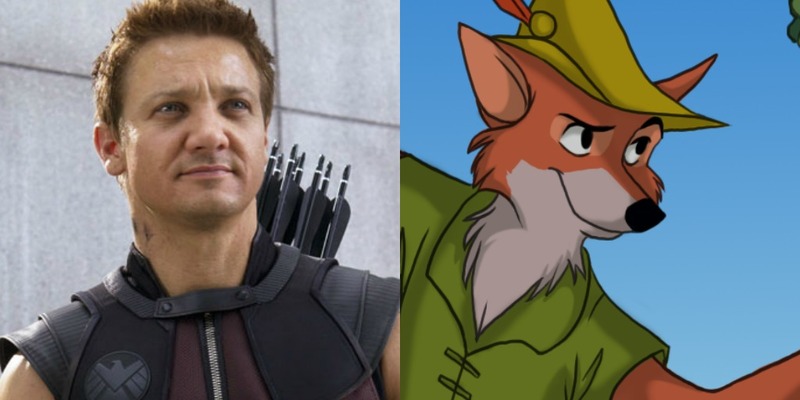 Hawkeye as Robin Hood? Perfection. 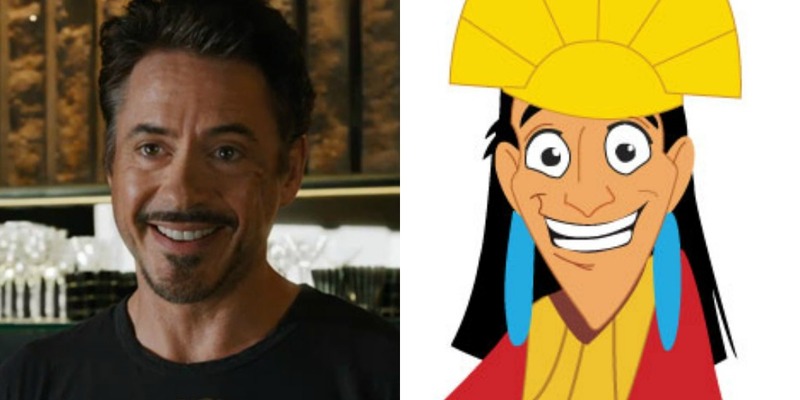 Kuzco as Iron Man would just be spot on perfect. Actually, I love all of the pairings. Great post! The longer I thought about these pairings to write about them, the more I realised how perfect your matches were, Anna. This was fun!